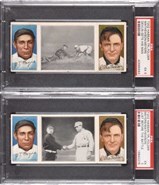 1909-1911 T206 White Border Wildfire Schulte Front View SGC NM 7 - Highest Graded! 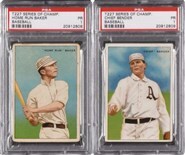 1909-1911 T206 White Border Jesse Tannehill Washington PSA NM-MT 8 - Highest Graded! 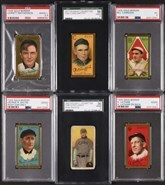 1909-1911 T206 White Border Rube Marquard Follow-Through - Name on Top/No Name on Bottom! 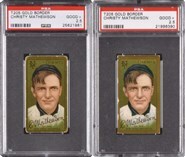 1911 T205 Gold Border George Stone PSA EX 5 - Broad Leaf Back! 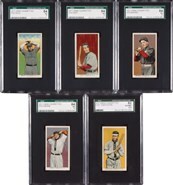 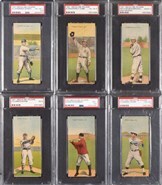 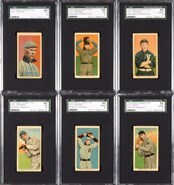 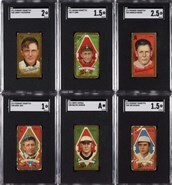 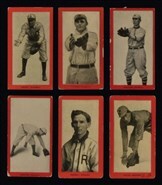 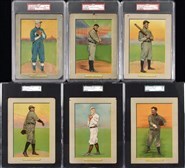 1911 T205 Gold Border Collection (59) Including Seven Hall of Famers and Four Hal Chase - All Cycle Backs! 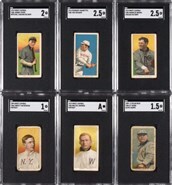 1911 T205 Gold Border Collection (20) - All American Beauty Backs! 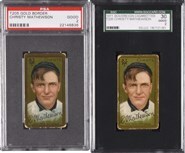 1912 T207 Brown Background Walter Johnson SGC EX/NM 80 - Highest Graded! 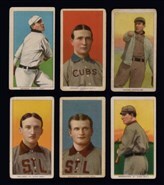 1912 T207 Brown Background Louis Lowdermilk - Red Cycle Back! 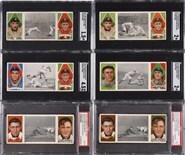 1912 T207 Brown Background Buck Weaver - Broadleaf Back!